This edition of Interview with the Advocates was sponsored by The Mesothelioma Center. For more than 10 years, The Mesothelioma Center has provided quality resources and information for patients and their family members coping with mesothelioma. Its mission is to ensure free access to information, services, and support to patients and their loved ones through effective advocacy with the ultimate goal of overcoming the disease and living longer, healthier lives. The Center’s approach is best summarized in its 4-step process: informing, assisting, connecting, and advocating. To inform patients, the Center provides a packet of information specifically tailored to each patient’s unique needs. The materials in the packet have been reviewed by several of the nation’s top mesothelioma specialists and include their professional insights on the latest treatments. To assist patients, the Center has a dedicated patient advocate team. This team includes a registered nurse, medical doctor, Academy of Oncology Nurse & Patient Navigators–certified oncology patient navigator, VA-accredited claims agent, legal advisor, and former US Army captain. They are available to patients to provide reliable answers about diagnoses, treatments, veterans’ assistance, legal concerns, and financial issues. To connect patients with the mesothelioma specialists and the appropriate care, the Center established a medical outreach program. Led by Director Missy Miller, this team travels the country to meet with surgeons, oncologists, and researchers involved in the most current and emerging treatment options for mesothelioma. Through these unique relationships, the medical outreach program developed a doctor match program that connects patients with the best care based on their location and diagnosis. Similarly, the Center created a veterans’ outreach program to establish relationships with veterans’ services organizations across the country in an effort to provide education about mesothelioma and how it affects veterans, especially those who served in the US Navy. The Center also connects patients with each other by fostering a monthly online support group and Facebook page. 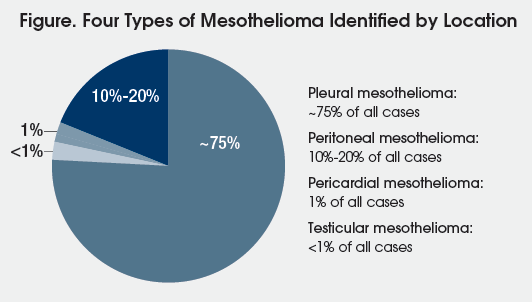 In advocating for patients with mesothelioma, the Center acknowledges that asbestos exposure is the leading cause of mesothelioma, an aggressive cancer. Its patient advocates are experienced in helping mesothelioma patients explore their legal options to obtain compensation. Further, the Center is actively involved in raising awareness of the dangers of asbestos and offering support for those it has impacted. CONQUER: the patient voice talked with Medical Outreach Director Missy Miller about the mission of The Mesothelioma Center and the services it offers to patients. CONQUER: Thank you for meeting with us. To begin, we’d like to hear about the mission of The Mesothelioma Center. Ms. Miller: Our mission is to provide essential, up-to-date resources about mesothelioma. We strive to connect patients with all the resources they require. There are many unmet needs, concerns, and opportunities for the community of patients with mesothelioma. Our goal is to be a trusted resource for these patients and their families. CONQUER: When patients contact the Center, they have the option to request a complimentary, personalized guide to the disease. Can you discuss the creation of this guide and what it provides to patients? Ms. Miller: Our guide was created using our experience in helping thousands of people each year. We tailor each packet specifically to patients’ and their family’s need, or in some cases, to a healthcare professional’s need. The packet includes excellent informational resources and guides about mesothelioma as well as books that will help patients and caregivers through the journey of this particularly rare cancer. Books include Complete Guide of Pleural and Peritoneal Mesothelioma, Surviving Mesothelioma, Your Nutritional Guide to Mesothelioma, and 100 Questions & Answers About Mesothelioma, as well as guides and resources for asbestos-related lung cancer. We also provide a guide to understanding the importance of mesothelioma clinical trials. We include inserts that talk about our support group and financial assistance, as well as a nutritional guide specifically designed for patients with mesothelioma. In an effort to raise awareness, we include mesothelioma wristbands. It all comes packaged together in a binder. The binder is meant to function as a medical filing folder. It’s very practical and includes tabs and labels where patients can file records for radiology, oncology, general practitioner, or others. Our hope is that patients will use this to keep all their medical records neatly organized for the many appointments they’ll have with different doctors. CONQUER: The vast majority of diagnosed mesothelioma cases are pleural, followed by peritoneal. However, there are 2 exceedingly rare types that account for less than 2% of all new cases (Figure). Do you have resources for those patients who are diagnosed with a rare type of mesothelioma? Ms. Miller: We do. We try to provide very specific information for the patient. If we don’t have the necessary information in-house, we’ll conduct research by talking to the appropriate doctors to get the most relevant information for the patient. CONQUER: We would like to learn more about the medical outreach team. Who comprises the team, and what services does it offer? Ms. Miller: I am the director of the team, and Jose Ortiz is our medical outreach liaison. We meet with specialists around the country and attend relevant conferences. Ultimately, we are hoping to collaborate with others in this community to bring access and solutions to patients and healthcare professionals with the resources that we provide. We strongly feel that knowledge is power. To obtain that knowledge, we attend symposia across the country to learn about novel treatments and cutting-edge therapies. We find it our responsibility to present patients with options to discuss properly with their doctor. CONQUER: You also travel to meet with specific doctors. Ms. Miller: Correct; we travel to different doctors’ offices to understand the specific type of program each doctor offers for mesothelioma, including the number of patients treated. We like to gather as much information as possible, down to the smallest details. Relaying as much information as possible—even as simple as parking instructions—can relieve some anxiety for patients. CONQUER: How does the medical outreach team work with the patient advocate team? Ms. Miller: We work closely with the patient advocates in our office. Our role is to keep them informed of the various mesothelioma specialists across the country and all relevant patient resources. CONQUER: I understand that you offer a doctor match program. Can you discuss the process of evaluating specialists and the importance of offering this service to patients? Ms. Miller: There are very few mesothelioma specialists nationwide. It’s a highly complicated disease, and doctors have to specialize in its treatment. Jose and I learn as much as possible about the mesothelioma programs in the country, including the individual specialists on staff. 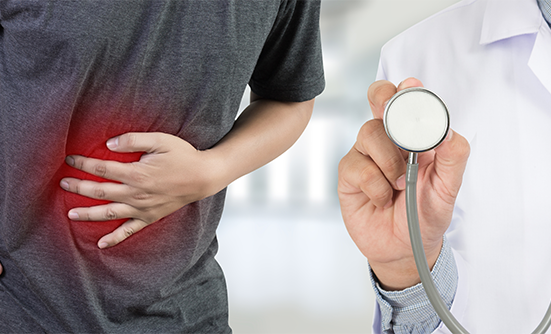 Establishing these relationships is critical, as it allows us to recommend specialists when a patient calls in and needs a surgeon or an oncologist, as well as to provide help to patients who are currently being seen and need additional support. CONQUER: The Mesothelioma Center has a special interest in our country’s veterans. Please tell us about the unique needs of this population, and how you can help them. Ms. Miller: Veterans account for approximately one-third of the mesothelioma diagnoses each year. Veterans with mesothelioma and other asbestos-related diseases face 2 challenges in getting the appropriate healthcare and compensation they need. First, asbestos-related diseases are rare and complex in nature. Second, the filing process for VA benefits is complicated. In addition to helping them navigate through and access a specialist within the VA, Jose is a VA-accredited claims agent, and we have 2 other VA-accredited claims agents ready to help. We are able to assist veterans in obtaining specialty care within the VA healthcare system. The VA will cover costs associated with travel to one of their specialty care centers. Many veterans may not realize that this is a service that’s available to them—it’s our job to educate them that they have options within the VA healthcare system where they won’t be charged out of pocket. And if travel is not an option, we can work with a veteran to obtain a VA-approved “fee-per-service,” which would enable treatment at a hospital within their city or state. CONQUER: Many advocacy groups promote patient support groups. How does The Mesothelioma Center promote connections between patients with mesothelioma and/or their caregivers? Ms. Miller: We believe good mental health and well-being are crucial to surviving mesothelioma. The key outlets for emotional support include mental health counseling, mesothelioma support groups, and mentorships. To create a safe space where patients and caregivers can connect, we formed a mesothelioma-specific monthly online support group held on the second Wednesday of each month led by a licensed mental healthcare counselor. We’ve found it was very effective to set up an online support group as this cancer is rare, and patients are spread across the country. CONQUER: Are there any geographical boundaries or limitations with your ability to help patients and healthcare professionals? Ms. Miller: Although our office is physically in Florida, through our website and our medical outreach efforts, we’re able to help patients anywhere in the United States. In fact, we’ve been able to help some international patients who have reached out looking for different treatments or clinical trials, either in their country or here in the United States. CONQUER: Can you share a patient success story? Ms. Miller: We have many patient success stories, but one stands out for me—we had a gentleman, a US veteran, who lived in Mississippi. He was told by his local VA that his only option was chemotherapy. His granddaughter reached out to us, and I helped her navigate through the VA healthcare system to get him to the VA in Boston. We were able to have the VA cover their travel costs and lodging. He ended up being a surgical candidate and had a successful surgery. He was originally told he had 3 months to live. Jose and I were coincidentally able to meet him and his granddaughter after the year anniversary of his surgery while we were visiting the VA facility. We were able to extend his life. CONQUER: Are there ongoing clinical trials that patients should be aware of, and how can they get involved in these trials? Ms. Miller: Thankfully, over the past few years, there’s been a lot more attention given to mesothelioma and efforts to find a cure. Clinical trials are what makes progress possible, and there are dozens of trials actively recruiting patients with mesothelioma. We can help patients find the clinical trials that are enrolling patients and provide information to determine if they’re a candidate to participate. CONQUER: What’s next on the agenda for the medical outreach department at The Mesothelioma Center? Ms. Miller: The most important thing that we want to do is raise awareness of our organization and our resources. To achieve this, we’re focused on connecting with specific organizations, keeping current on resources, and maintaining relationships with doctors across the country who have an interest in working with our team and helping our patients. CONQUER: How can patients get in touch with The Mesothelioma Center? CONQUER: Thank you very much for your time, and our best wishes to you for continued success in helping patients with mesothelioma. Ms. Miller: Thank you, it was a pleasure.